Local developer and designer Mahesh Butani has prepared a compromise development proposal for the Blanchard Block at Gore Park that would not only save the historic Gore Park buildings, but also integrate new development. Butani has expressed fear that tearing down the historic Gore Park buildings would be damaging to the city’s core. 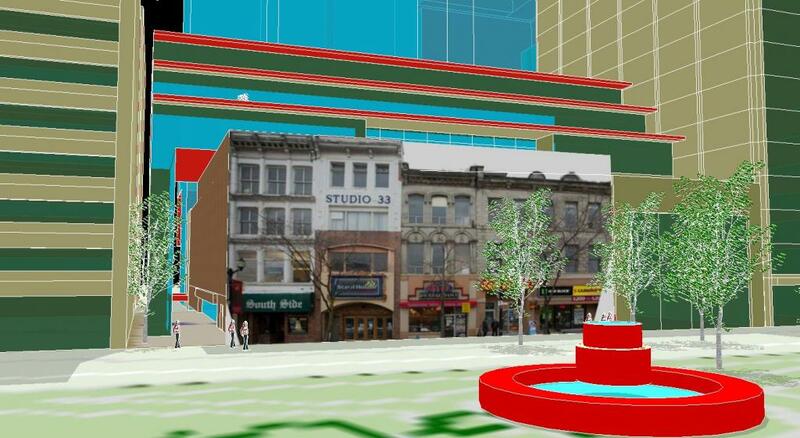 Although there is a possibility the Gore Park streetwall will be designated as heritage buildings, this new plan would achieve the integration of the existing buildings in a sensitive manner with large-scale development. The proposal suggests a phased plan with three stages. The first stage is to develop an 80-room boutique hotel superimposed on top of the Gore Park row of heritage buildings in a receding form. The receding levels open up the sightline for 50% of the units in phases two and three, while also providing Gore Park with low shadow cover from the buildings. The hotel would include a terrace restaurant, café and bar overlooking the park. There will be over 40 “Bed and Breakfast” rooms inside the pre-existing buildings and six retail storefronts. Stage two incorporates an 18-floor mixed-use condominium with 108 units on the adjacent lot facing James Street South, which is currently vacant. 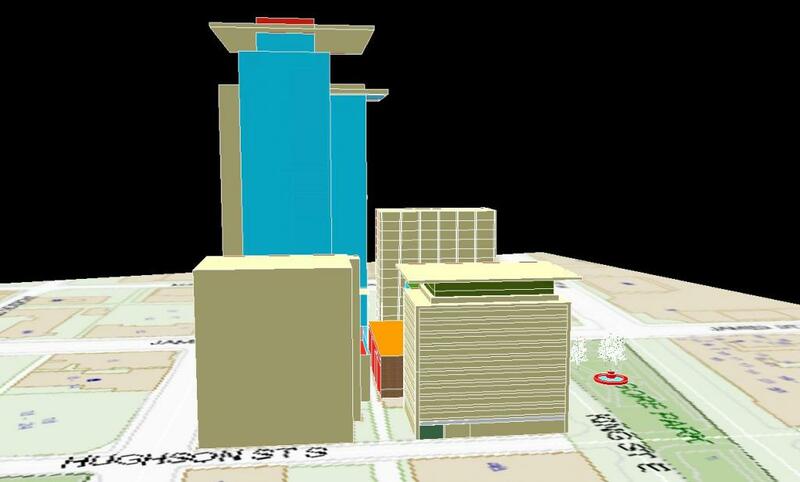 The final stage would be a 40-floor high-rise condominium with more than 400 units. The condo would be situated on another vacant lot facing Main Street. 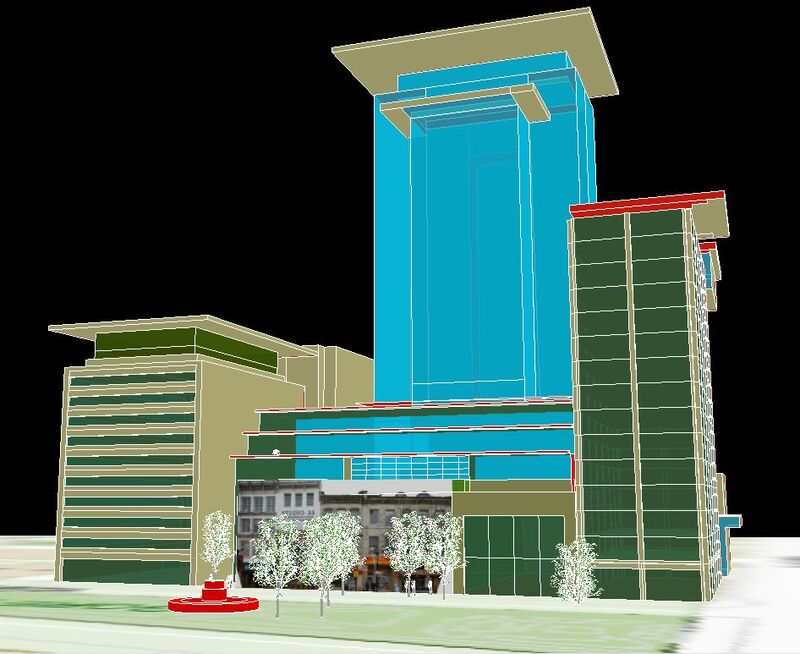 All three phases would be integrated with the boutique hotel and terrace café overlooking Gore Park. According to Butani, building the development in phases would give a realistic flow to the financing and asset collateralization, giving lenders a greater assurance against the risk of default. It would also help control supply and demand, ensuring that more sales go to actual users, adding density to the core. The total development value of this proposal totals 150-million dollars. Note: these renderings are not finished. They will be released in a few weeks with materials, textures etc. 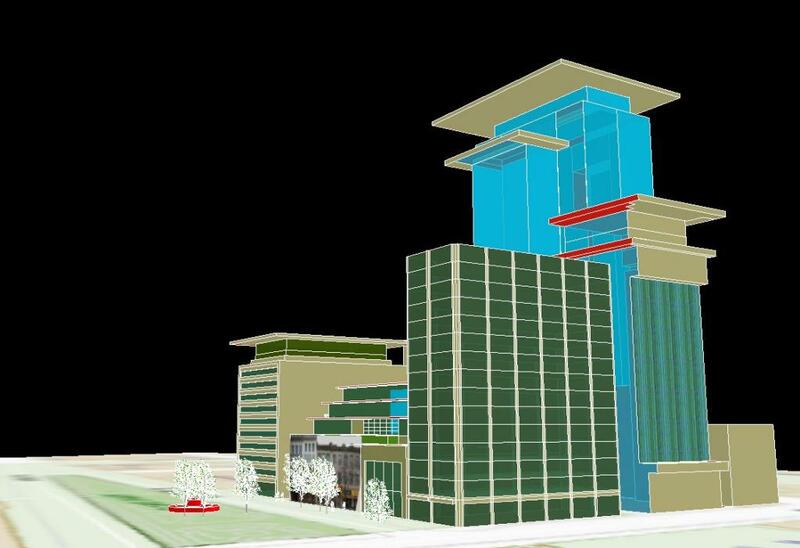 However, due to the immediate possibility of demolition, Butani decided to release various views of the unfinished rendering.